Britain is in political turmoil, but even prior to that, there was that old problem of why Her Majesty’s government went to war in a disastrous conflict that had no immediate, security related grounds. The reasons for invading Iraq were more ideological than scientific, more evangelical than rational. One of the greater evangelists in this mission of folly was former British Prime Minister Tony Blair. Britain may well have been in search of a role after empire, and here it was by way of redux, a traditional stomping ground in the Middle East. The hope was also personal. Ego, and the desperate sense of purchasing goodwill in Washington, seemed to preoccupy Blair. The result of going into Iraq in a fit of moral outrage and strategic bravado was disastrous. Actually, it was more than disastrous. Virtually every murderous spin off in the Middle East has its provenance in the disturbances of the Coalition of the bungling willing in 2003. That war suggested much about what was wrong with the Anglosphere, with its various satraps and misguided assumptions. The United States was charging into a bloody engagement hoping its not too questioning followers, the UK and Australia, would join in. 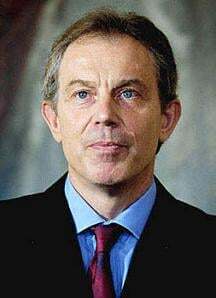 They were right, with Blair giving a pre-determined commitment of British forces on July 28, 2002, a good deal prior to the formal Parliamentary vote on whether military intervention against Iraq was warranted. For all of that, the history of this inquiry is characterised by chronic, mind numbing delay. Britain’s gift to the world was not merely a civil service but one of uncivil disservice when required. Such pursuits have their own rationale and powers of justification. While the inquiry’s process has been unsatisfactory, Chilcot’s findings are now the stuff of pure affirmation. There is noting new in it. Iraq’s previously sponsored dictator Saddam Hussein posed no immediate threat to Western states in 2003. Peaceful options prior to the use of force, a grave decision in international relations, had not been exhausted. When the UK Ministry of Defence had committed to the bloody effort, it found itself woefully underprepared. Its inventory was poor, lacking in essential equipment such as armoured patrol vehicles and helicopters. The use of improvised explosive devices (IEDs), the great deliverer of asymmetrical warfare, was not taken seriously. The rest of the stage for the day was set by Blair’s apologetics. “The report,” claimed Blair in a statement, “should lay to rest allegations of bad faith, lies or deceit.” This is standard Blair: muddle the issue, obfuscate the finding. Regard sorrow and faith as forgivable faults. Conveniently missed is a vital fact: fanatical, uninformed belief has been the basis of some of history’s most blood sodden decisions. And to say that deception was not part of it is to misread the report, which notes the desire on the part of President George W. Bush and Blair, to invade for reasons of regime change. Few ever go to wars, legal or otherwise, without faith. That hardly constitutes grounds for letting planners of the hook. Crimes against peace, articulated by the Nuremberg International Military Tribunal, are arguably the gravest of crimes. Whatever the faulty evidence, the diplomatic option or a continued strategy of containment, none of these mattered with a decision taken well in advance, a common plan of aggression. Blair did make a feeble attempt to comb through the minute details by way of exoneration. In an attempt to appease the British public, and his God, he asserts that Chilcot did not find “falsification or improper use of Intelligence (para 876 vol 4).” He notes the finding that he did not deceive Cabinet (para 953 vol 5) and claims that Chilcot found against a “secret commitment to war whether at Crawford Texas in April 2002 or elsewhere (para 572 onwards vol 1).” There are lies, and then there are lies. One can sense Blair’s relief that the inquiry did not make a finding on one of the most fundamental points that would make a prosecutor’s brief stick: whether the action to attack Iraq was itself legal. He makes much hay out of the point of a “finding” by the Attorney-General that there was a lawful basis by March 13, 2003 for possible military action (para 933 vol 5). On that score, Chilcot could have done much more. Blair then gives us his reflection about consequences, which sound all too much like a defence before a future criminal tribunal – as well as it might. He accepts the errors of his administration, treating them like desk job miscalculations, only to then claim that it was perfectly right to remove Saddam. Forget the “underestimated” consequences, as Chilcot rather blandly calls them. Furthermore, he continues in his refusal to accept that “the cause of terrorism we see today whether in the Middle East or elsewhere in the world” had anything to do with this adventurous gamble. Object and belief trumped procedure and execution. Such reasons are as good any for a formal conviction.